The famous Alcatraz Island in San Francisco Bay, California, has served as a US fort and federal penitentiary as well has hosted an Indian occupation. It is now a popular tourist attraction. 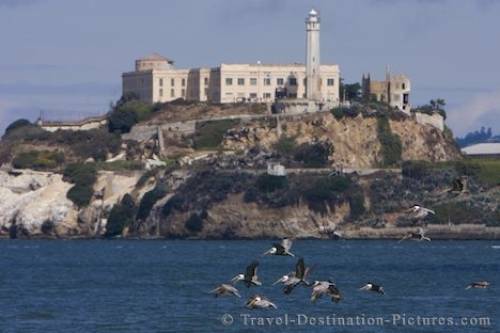 Alcatraz was called The island of pelicans or "isla de los alcatraces" by the spanish early settlers. Today the notorious former federal prison in the bay of San Francisco is one of the top tourist attractions in the Bay area. San Francisco Bay, California, USA.